I have an addiction to hair oils. I’ve just found that there’s no time of year that hair oils aren’t my best friend. My hair gets frizzy—there’s no other way to put it. During the dead heat of summer (and after spending a little too much time in the pool) or during the blistering winter when the cold air just zaps (or freezes) the moisture out of everything, my hair needs all the help it can get to stay shiny & silky throughout the year. Why do I love hair oils? Well, it’s great for styling, it makes the frizz disappear and it gives me real-life TV hair (read: glossy but not unrealistically glossy hair). My foray into hair oils started with the cult favourite, Morrocanoil. I loved it for many years (mainly because I didn’t know what else was out there) and while it’s no longer my favourite, I can’t deny the quick shine it gives. 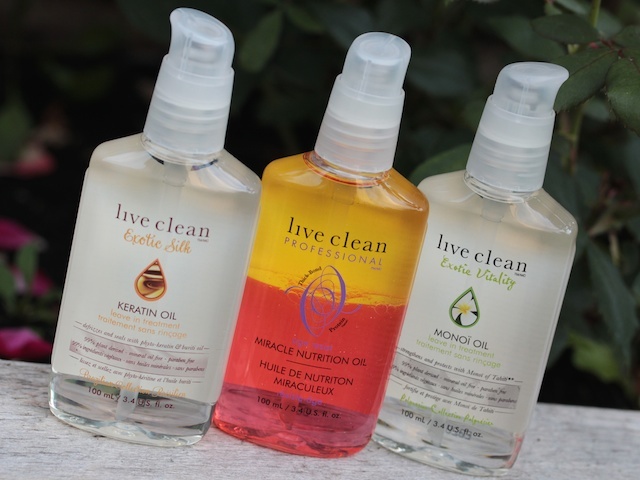 Since then the hair oil market has boomed and more products have caught my attention… more specifically these silicone free beauties from Live Clean. I’ve been using this for months now—I’ve already raved about it in a past favourites video. 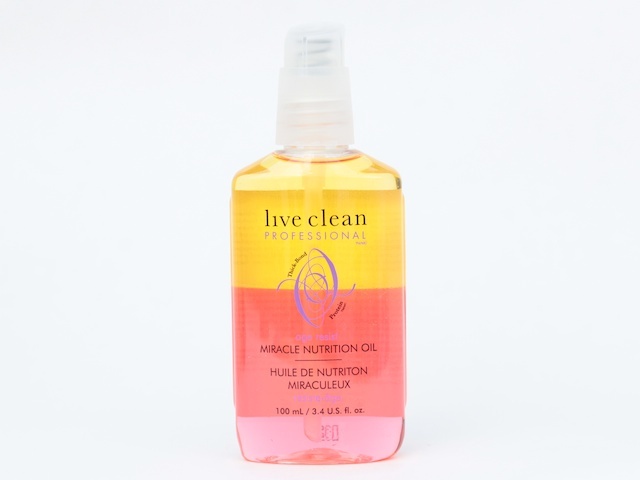 The Age Resist Miracle Nutrition Oil is a multi-layer oil (much like the Ojon Rare Blend Oil) that can be used as a pre-shampoo treatment or a leave-in treatment. Personally, I love this as a pre-shampoo treatment. I shake the bottle to mix all the layers, massage it into my hair, let it soak in for about 10 minutes, and then hop in the shower to shampoo & conditioner. The oil is a combination of Jojoba, Avocado, and Rosehip extract leaves my hair feeling so silky and smooth afterwards. To add to the love, it also has a “thick bond protein,” which essentially makes my hair look thicker / fuller. I know… amazing. This Keratin Oil treatment is a combination of phyto-keratin and Buriti Oil infusion with macadamia nut oil and wild flower honey. Fancy, right? It essentially strengthens your hair from root to tip while locking in the moisture to smooth the frizz away. This one is my favourite as a leave-in treatment. I massage a pea-sized drop into wet hair & then blow dry my hair for a silky, smooth finish. 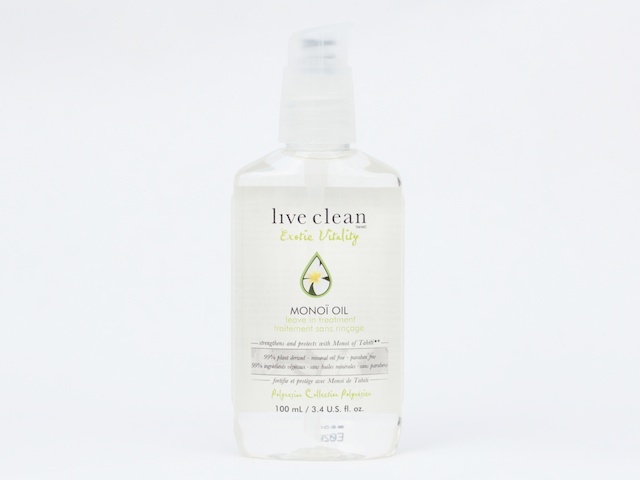 This Monoi Oil treatment is infused with (yes, you guessed it) Monoi Oil. While this oil is only gaining popularity in North America, people have been using Monoi as a skin and hair softener for years. Monoi is also used to prevent protein loss in hair. This oil treatment is also infused with Jojoba Oil and Bamboo extracts to retain moisture & keep dry hair at bay. This oil treatment can be used as a pre-shampoo treatment or a leave-in treatment, but I love using it as an overnight treatment. It’s great for strengthening the strands to prevent breakage. I apply a couple drops into my palm & massage it into my hair, really focusing on the ends. Just don’t use your fancy pillow cases when you do this! Remember that less is more! Hair oils are more effective when you don’t use too much. One to two drops max! This will also prevent your hair from looking like a grease ball—especially if you have fine hair (like me). 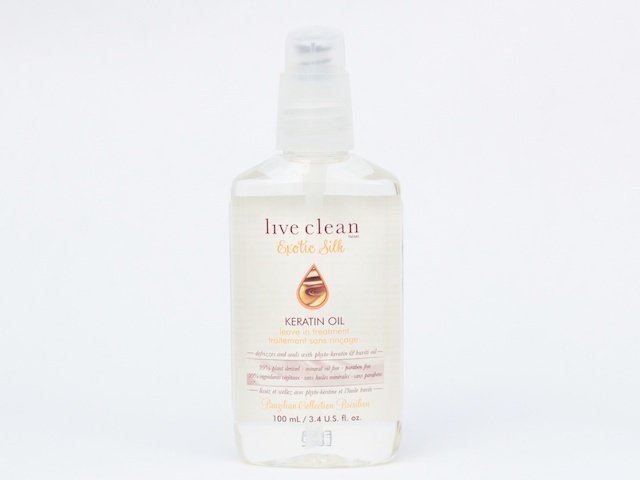 When applying a leave-in oil, apply it to wet hair. It’s so much easier to distribute evenly this way. Plus, you avoid the oily patches that you can sometimes get when you apply oil to dry hair. Avoid getting the leave-in oil on your scalp! It’s called “hair oil” not “scalp oil.” This will keep the oil from weighing down your hair & it will also extend your second or third day hair. Apply hair oils as often as you like! 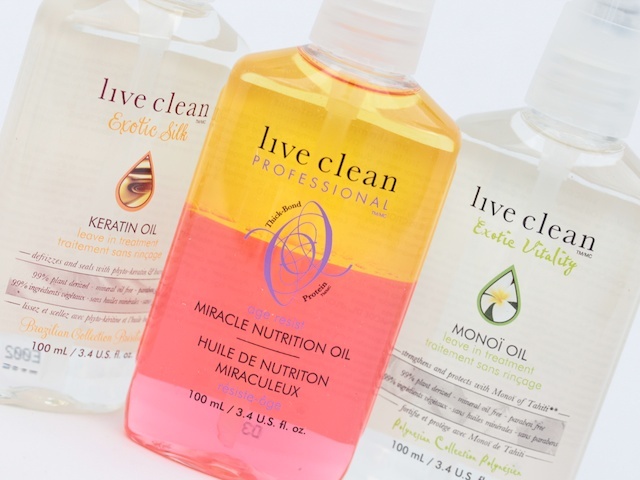 When using silicone free hair oils (like these Live Clean ones), you don’t have to worry about build-up! Are you in a love affair with hair oils? Let me know what you’re currently using!